As CEO of the NRL are you aware that many corporate bookmakers (some of which are your commercial partners) close or restrict accounts of winning gamblers/ gamblers who do not lose enough? I’m of the belief that the most important stakeholder in your game is the supporting public, a considerable amount of your supporters would place a bet on your sport throughout the season. Protection of your supporters when they have a wager on your sport would be very high on your agenda I’m sure. A ‘gamble’ is defined as ‘to stake or risk money, or anything of value, on the outcome of something involving chance’. The problem we have when wagering on your sport is there is no chance element, if you win (amounts of bets and time vary), your account can be immediately limited or closed. There is only one side of the coin you can be on long term and that’s the losing side. This issue is the basis for many involving wagering in your sport; lack of clarity around identities gambling, offshore gambling, untraceable bets, match/ spot fixing and huge exploitation of problem gamblers by bookmakers here in Australia. Clearly with this in mind, the NRL could not condone this behaviour, the question is, what will the NRL do about this issue? Please see the accompanying letter that I sent to Social Services Minister Alan Trudge. Of the two options contained, which would the NRL support? Gambling on sport is a big community issue now and the NRL must take corporate bookmakers conduct seriously. I look forward to your response. My name is Luke MacDonald from the Gold Coast. 5 years or so ago I was enticed into gambling on Australian sport by all the advertising that accompanied it. Since then I have learned that the online sports gambling industry in Australia is for the most part a fraud and the majority of Australian bookmakers do not allow bettors the opportunity to win money. Everyone rightfully assumes a bookmaker is supposed to offer people the chance to win money. I was heartened to hear that you and your Government accepted the recommendation of Barry O’Farrell’s recent review into online gambling to look into account closures and restrictions. Your Government needs to decide if online sports gambling is a financial market place, or simply a business where bookmakers offer punters a service or product. 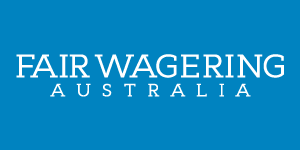 If you decide it is a financial market you need to introduce a nationwide minimum bet policy akin to what Racing NSW and Racing Victoria have done with their racing product in the jurisdictions they oversee. Financial markets in Australia are regulated to be fair to both sides of the transaction, and hence the same must apply to online sports gambling markets. Presently sports bettors have no rights and are treated appallingly. It should be noted that all on course gambling rings in Australia have always carried minimum bet obligations. If you decide that bookmakers are simply carrying on a business – and deserve the same protections all businesses get under the Competition and Consumer Act – you must make online bookmakers (who employ client management techniques to ban or restrict winning gamblers/ gamblers who do not lose enough) warn their clients of what they face when betting with them. These bookmakers do not offer their clientele the chance to win money, it is imperative that anyone who signs up to these sites understands this. The warning needs to be in plain black and white English, not buried in a whole lot of terms and conditions and state the following; “we will close or restrict your account if you win or don’t lose enough”. If account holders see this, acknowledge they understand the situation and are happy to keep betting, then that’s fine. But what cannot happen is online bookmakers taking over our sporting culture, while seeking to exploit losing gamblers and banning anyone who wins. Our community doesn’t need another poker machine industry. Which of the options will you and your Government take? You will have seen that Racing Victoria have followed Racing NSW and announced the introduction of a minimum bet law from October 1. It can be seen as the turning point for the industry and punters; that a fair, equitable and socially responsible market is what the industry wants and deserves. Now would be the perfect time for you as CEO to liaise with your board and begin the process of introducing a minimum bet law on racing in your state. It will have a profound longterm impact on your turnover, especially as punters who have been finding it hard to get their bets on gravitate to NSW and Victoria where they know their hard work will be rewarded. By introducing a minimum bet law you will only be upholding on course bookmaker betting obligations which your state has had for all of time. Do you plan to introduce a minimum bet law? I, and all punters in Australia look forward to your response.